All-Area Softball Newcomer of the Year McAllen Rowe freshman third baseman Ziomara Jasso poses at Edinburg Vela High School on Tuesday, June 5, 2018, in Edinburg. 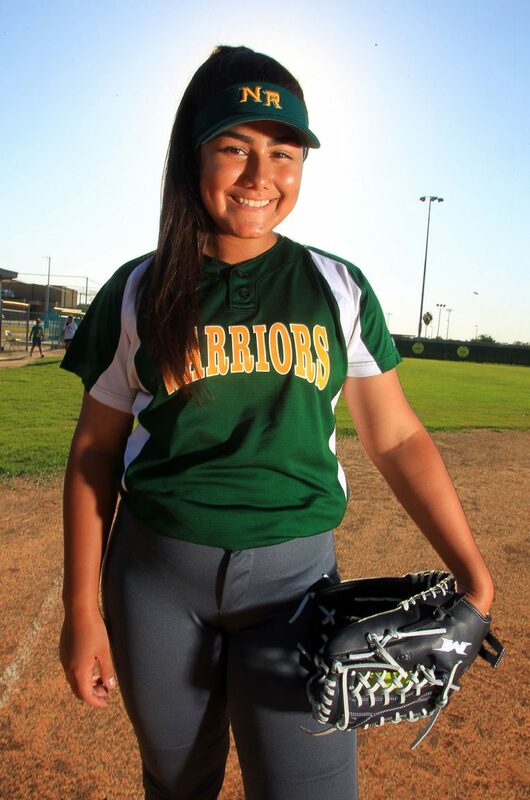 McAllen Rowe freshman third baseman is The Monitor’s All-Area Softball Newcomer of the Year. EDINBURG — 2017 was an uncharacteristic season at McAllen Rowe. The Warriors finished fifth in District 30-6A with sub-.500 overall and district records. Three of their everyday starters were freshmen. One of them, catcher Ashley Barriero, led the team in hits. A year of experience did the young Warriors a lot of good, as Rowe posted an 8-4 district record and made a playoff appearance in 2018. However, the team’s most effective hitter was, once again, a freshman. 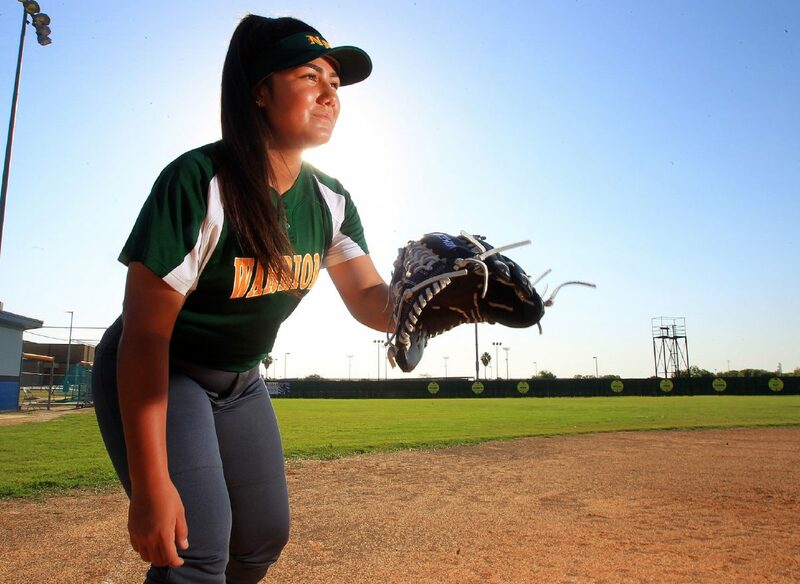 Third baseman Ziomara Jasso might have a lot to learn at the varsity level, but teams have yet to figure her out. Jasso hit a blistering .596 with 10 doubles, five triples and a home run while driving in 35 RBIs and piling up a team-best 17 stolen bases. 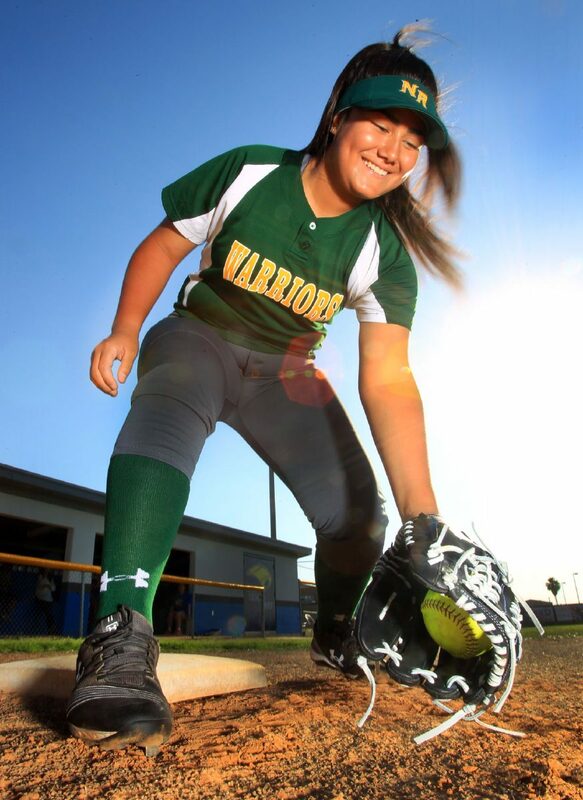 Her versatile skillset made Jasso the choice for The Monitor’s All-Area Newcomer of the Year. Jasso showed the fortitude to play an error-free third base alongside shortstop Valerie Gallardo, who also turned in a perfect 2018 season defensively. Jasso grew up around softball thanks to her older sister, Yareli Rios, who played catcher and first base for McAllen Rowe from 2009-12. Rios earned Second Team All-State distinction from the Texas Sports Writers Association following an outstanding senior season. She went on to play at Coastal Bend College. Rios moved back to the Valley and graduated from UTRGV with a degree in kinesiology. Coming home helped her notice trends in her younger sister’s game. District 30-6A will likely look a little different a year from now. La Joya High was led by seniors who carried the team to a 12-0 record in district competition. The time could be ripe for McAllen Rowe to become the fourth different team to earn at least a share of a district championship in three seasons.